Members of the Board of Directors represent a wide range of business skills, a deep rooted understanding of the global financial environment and broad experience in biomedical start-ups and the global biomedical marketplace. Dave has over 30 years business experience in life sciences and biotechnology and was appointed to the Board as Executive Director in 2014. In his capacity as Chief Executive Officer he has led Pacific Edge from its early inception, and has significant executive and leadership experience in the development and international commercialization of biomedical and biotechnology businesses and products. During his career, Dave has held a number of positions in governance, executive and senior management, joining Pacific Edge from Fletcher Challenge. 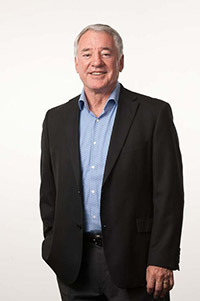 Chris Gallaher is an experienced business leader who has held senior general and financial management positions in Australasian companies, both publicly listed and privately owned. 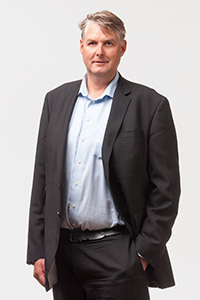 He is the recently retired Chief Financial Officer at Fulton Hogan Ltd and prior to this has held CFO and CEO roles with Vector Ltd, Village Roadshow and Carter Holt Harvey and was a partner in Arthur Young, the NZ chartered practice. He is also a director of the Good Shepherd (NZ) and a member of the the Investment Committee of Substancia Pty Ltd.
David Levison has spent 25 years in the health care industry, from pharmaceuticals to services to diagnostics. 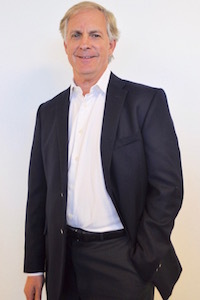 He has been the CEO and Director of several molecular diagnostic companies and most recently founded and was the CEO of CardioDx, a US molecular diagnostics company. He is currently the Chief Strategic Officer and Director of CardioDx, a successful medical diagnostics company similar in nature to Pacific Edge. Prior to launching CardioDx, David was a Venture Partner at TPG Ventures and was the CEO of XDx. Previously, he was the founder, President and CEO of iScribe (which was sold to AdvancePCS-now Caremark in December, 2001). Prior to iScribe, David was President of Oncology Therapeutics Network (sold to Bristol-Myers Squibb in 1996). David also served as CFO of OTN's parent company, Axion, from 1990 to 1993. Prior to Axion, he was with Cole Gilburne Fund, an early stage, technology focused venture capital firm. David received his MBA from Stanford University and BS from Williams College. Anatole Masfen is the co-founder of Artemis Capital, a private equity investment firm based in Auckland. Anatole brings to the Board, significant experience as an investment manager. Anatole graduated from Auckland University with a MCom (Hons) in Finance and Economics. He then spent seven years at Air New Zealand and Ansett Australia in various roles in Pricing and Revenue Management where he was responsible for systems and process implementation, which continue to drive profitability of the airline. Sarah brings international corporate finance experience to Pacific Edge after a professional career with Pricewaterhouse Coopers in New Zealand and HSBC Investment Bank in London. During her executive career, Sarah has worked in mergers and acquisitions, equity capital markets and equity research. She also had a lead role in investor relations and venture capital raisings in Asia, the Middle East and Europe for US based biopharmaceutical companies. 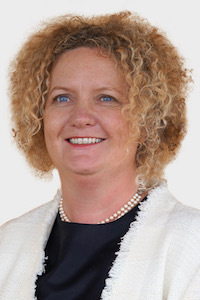 Following a strong executive career, Sarah has moved her focus to governance and serves as a director of Hawkes Bay Airport, where she also chairs the Audit & Risk Committee; Focus Genetics Limited (Chair of the Audit & Finance Committee), Eurogrow Potatoes Limited, and Hereworth School Trust Board. Sarah also serves as an Executive Adviser to The True Honey Company a fast-growing NZ based Manuka honey business. Sarah has a degree in Economics from the University of Edinburgh. Bryan Williams is an internationally recognised cancer researcher and research administrator with significant business experience. He was Chairman of the Board of Directors of MEI Pharma, a NASDAQ listed company for seven years, is presently Chairman of the Board of Biograd Australia, and a Director of Cancer Trials Australia. 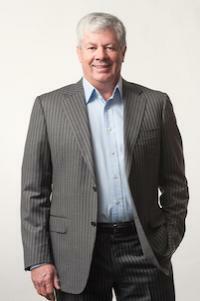 He has served as a Director of Pacific Edge Pty Ltd for the past four years. 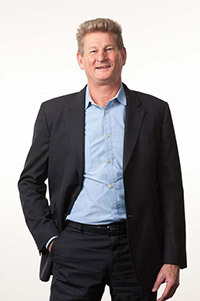 Bryan was Director of the Monash Institute of Medical Research (MIMR) from 2006 until 2013 and is currently Director and CEO of the MIMR-PHI Institute of Medical Research. He previously held leadership positions in Cleveland and Toronto.